Maybe your soul you'd sell to have mass appeal"
My name is Richard Parrott IV aka Rich aka Coach P aka Shuff aka any term of endearment you have to offer. I'm the CEO of Global Money Group LLC, Co Host of Endie Fiya radio and Host of Coach 88. I wanted to introduce myself before getting into this post and other posts that will be following this one. A quote my father once told me is "You have to make things the way you want them to be" I held on to that advice and it has gotten me to this point present day. I used to be a rapper and I dreamed about being signed to Mass Appeal Records founded by legendary rapper Nasir "Nas" Jones and Peter Bittenbender after seeing the success of Harlem rapper Dave East. I locked in and prayed for the opportunity to be apart of the organization. I found out how to contact any one with affiliation with the company and sent my music to anyone who would listen. With constant persistence and dedication I spoke with people from the media side of Mass Appeal, A&R's, and even the founder Peter Bittenbender. With all of my hard work and dedication I earned myself a NO from anyone who bothered to respond. 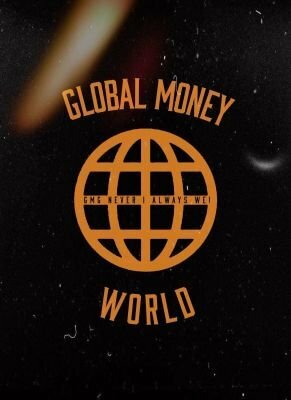 Discouraged, homeless, car less, and at a job I hated I was down and with the last little bit of strength I had I decided to create my own company "Global Money Group". I was set to create my own Mass Appeal where any respectable artist who is true to the culture would see my platform and want to be apart of it the same way I viewed Mass Appeal Records. By the grace of God. A lot of hardwork, and the angels God sent to me in the form of Quis Christ, Billypalmtrees, Mojo Free and Rebel Kuzco I have done just that. Every day I receive submissions and messages from aspiring artist wanting to be apart of this dream I have and it is the greatest form of flattery for me. In the darkest moments of our life there is always a light near if you pick your head up to see it. Never give up and be courageous and all of your efforts. I will be using this platform to give advice that I have learned in my travels and to bring you the best music I can find that I hope you will enjoy. Lock in and subscribe at the bottom of the website! Peace and stay love!